Lock in a great price for Hotel Galaxidi – rated 8.8 by recent guests! The breakfast was totally over the top amazing, staff was very kind when we had an issue with the shower (not their fault, the whole bathroom was actually brand new and really nice, including the rain shower head), balcony was lovely and location couldn't have been better! The staff were really friendly and the rooms were interesting and bathrooms modernized. The location was perfect for walking around to the port, cafes and activity. 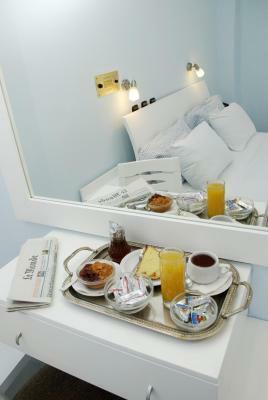 Cute rooms, amazing breakfast, friendly staff, perfect location! Fabulous breakfast, comfortable beds,good shower, nice balcony, good location, good hosts, gift of home-made preserves on departure! Everything was perfect here. We had a very nice welcome, a fantastic breakfast and the room was clean and comfortable. We even left with olives and jam!The hotel is just walking distance to the water, i would definitely recommend it. A clean room, few meters from city center and harbour. Very good breakfast! Traditional, beautiful small family run hotel. Charming people who was so helpful to us when we left; we had a flat tyre and they were very accommodating. 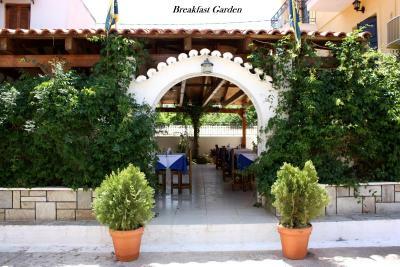 Hotel Galaxidi This rating is a reflection of how the property compares to the industry standard when it comes to price, facilities and services available. It's based on a self-evaluation by the property. Use this rating to help choose your stay! Hotel Galaxidi offers rooms with balcony and free Wi-Fi access in the heart of the picturesque town of Galaxidi. The beach of Galaxidi is 350 feet away. 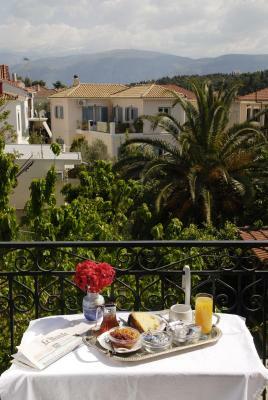 The rooms of Galaxidi Hotel enjoy views to the village from their furnished balcony. They are fitted with a flat-screen TV, air conditioning and a safety box. All rooms have a private bathroom with a hairdryer. 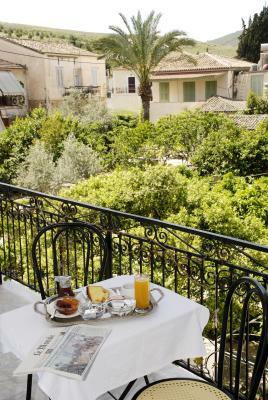 Breakfast is served in the garden, in the rooms or in the dining area. 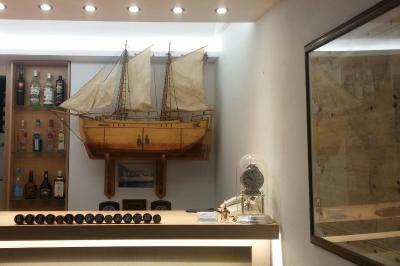 Hotel Galaxidi is within walking distance to the harbor of the town, where guests can find seaside bars and traditional taverns. Free private parking is available on site. When would you like to stay at Hotel Galaxidi? House Rules Hotel Galaxidi takes special requests – add in the next step! Hotel Galaxidi accepts these cards and reserves the right to temporarily hold an amount prior to arrival. Great location, amazing breakfast and great room! Wonderful home cooked breakfast. Best of the best and highly recommended. I hope it doesn’t change or become too busy as we will be back. A little language barrier at times, but we were able to communicate. The room needs renovation and so does the bathroom. One of our rooms needed a shower curtain to keep water off the floor. We have been staying there for one night prior to visiting Delphi the next day. Very nice hotel in a quiet part of the lovely Galaxidi centre. Personnel was very nice. Breakfast is all fresh, tasty, varied and an absolute experience. Rooms are nice and comfortable, above average for Greece continent when you leave Athens. The town of Galaxidi is worth a stop (lovely port, nice views). Price was reasonable (this area can be a bit more expensive than other towns in the mainland), and definitively worth it given the quality of the breakfast and comfort/decoration of the room.